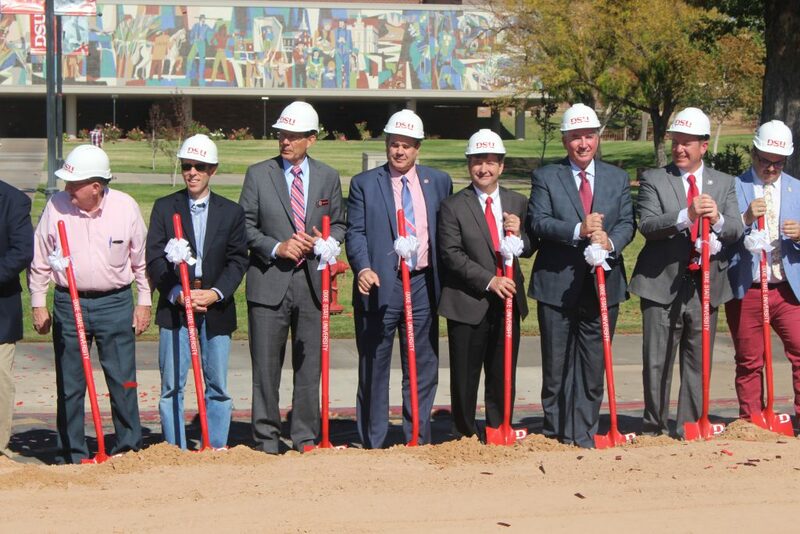 ST. GEORGE — Dixie State University officials broke ground Wednesday afternoon for the institution’s new Human Performance Center, a $55 million recreational, fitness and health facility expected to be completed by fall 2019. 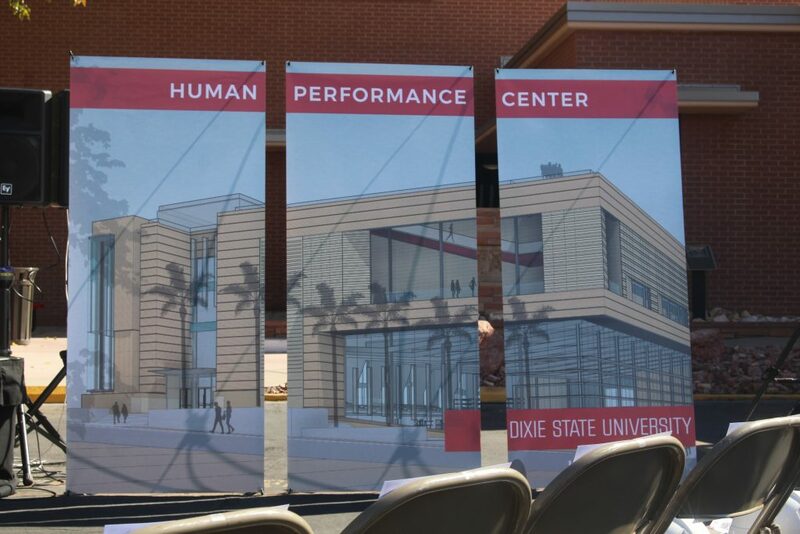 “I see the future of what this building will hold for the students in the College of Health Sciences,” said Eliezer Bermudez, dean of the College of Health Sciences and master of ceremonies for the hourlong program, which attracted a crowd of about 350 people gathered at the future building’s site in the parking lot immediately west of the Gardner Student Center. 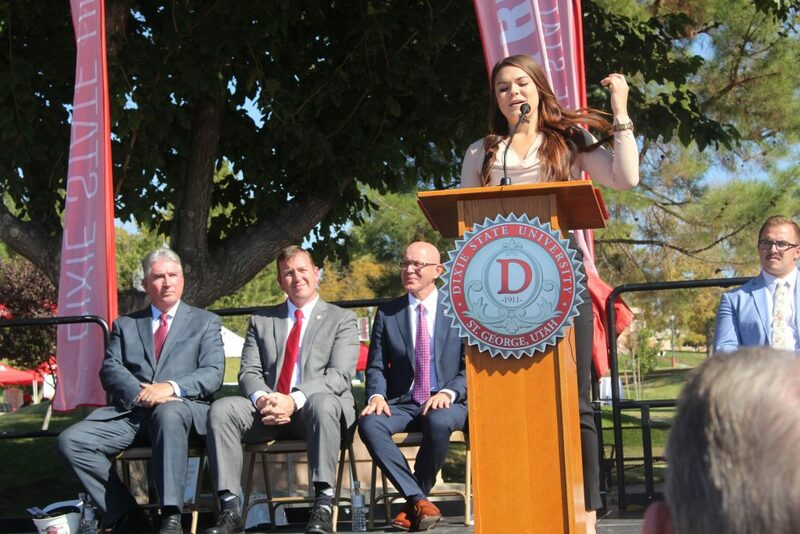 “This innovative and state-of-the-art facility will not just be a new building, but will be a definition of what ‘active learning, active life’ means on this campus,” Bermudez added. 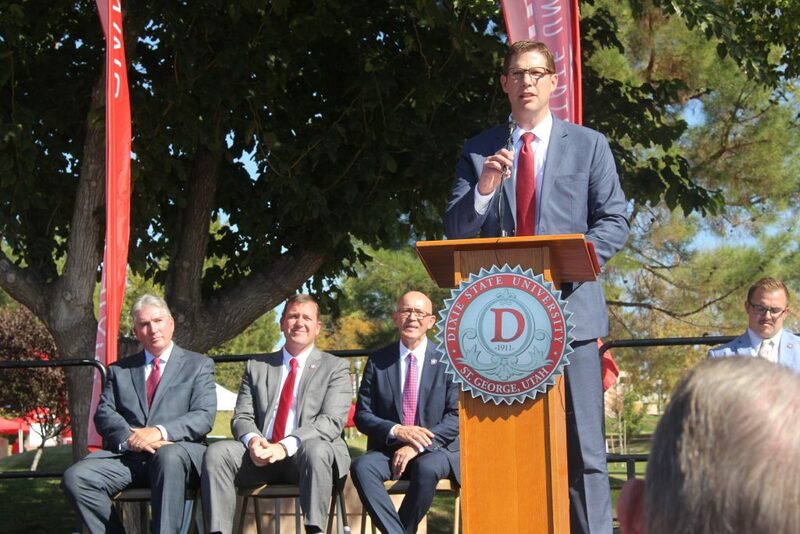 Ezra Hainsworth, DSU’s student body president, noted that about $20 million, or nearly half of the project’s cost, is being funded by students through fee increases. A recreational facility was voted the No. 1 priority in a campuswide poll several years ago, he said. 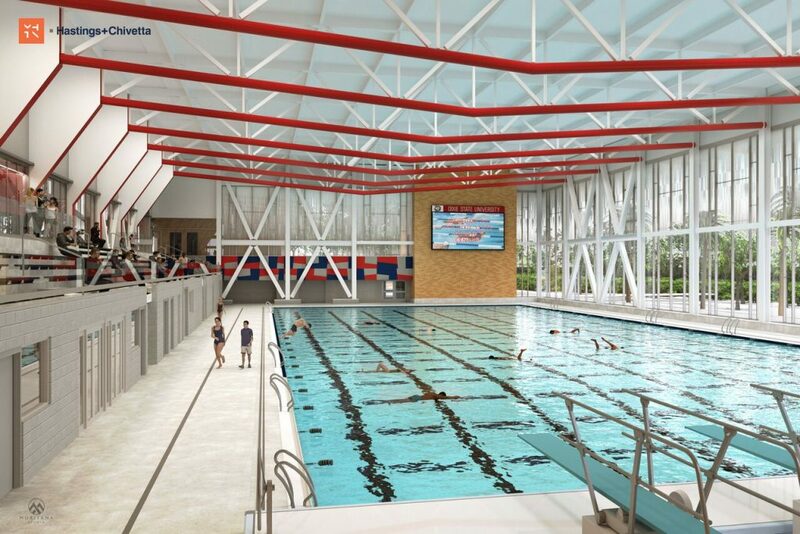 Hainsworth mentioned several amenities the new facility will feature, including a 50-meter Olympic-sized swimming pool and a 65-foot climbing wall that will be the tallest such wall of any college in the state. 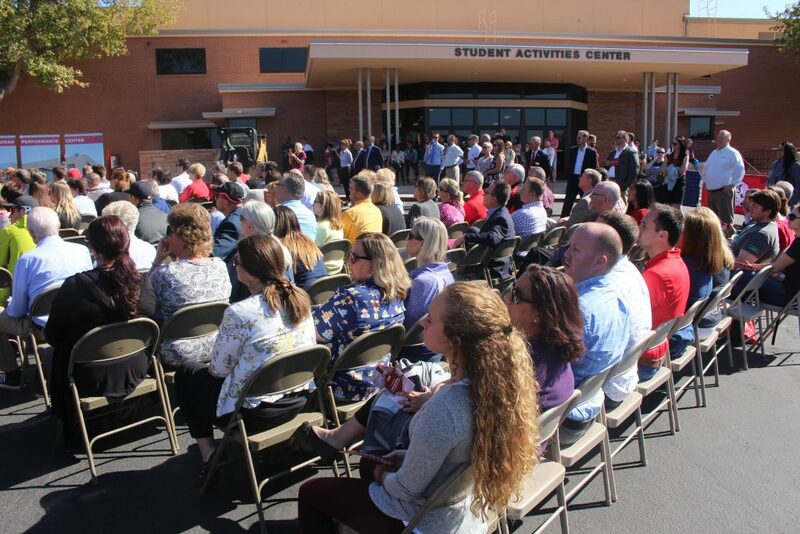 Taking advantage of St. George’s milder climate, there will also be outdoor basketball and pickleball courts on the building’s rooftop, he said. “We have 300 days of sunshine and it snows somewhere else,” Hainsworth said. 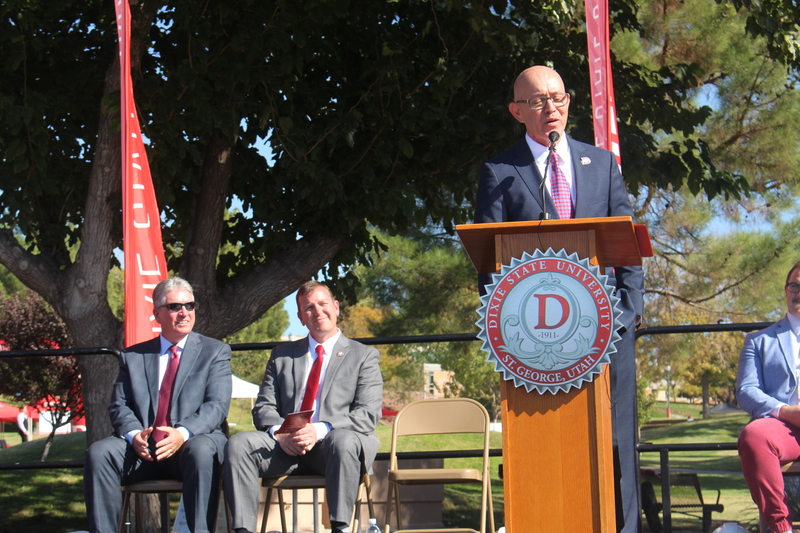 Dixie State University President Richard “Biff” Williams was the program’s final speaker, opening with a construction-related joke. 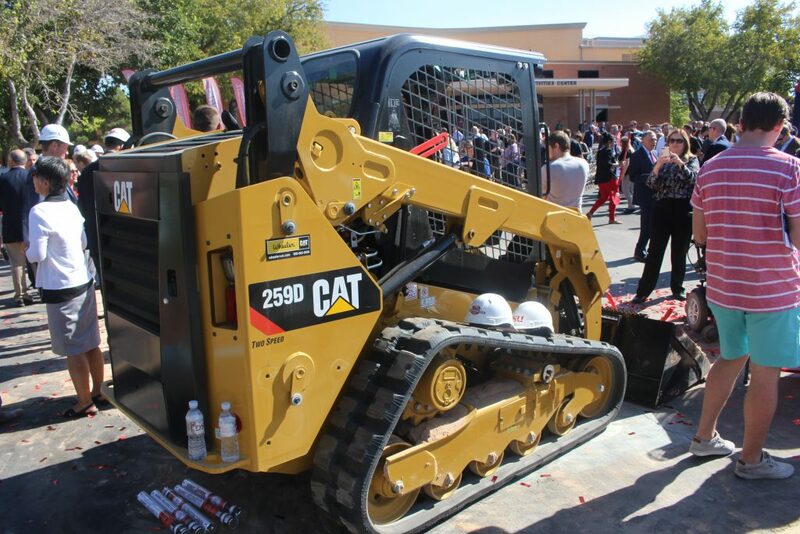 “A while ago, a mentor of mine said the way you can tell if a campus is being successful or not is whether or not you have a backhoe on campus,” Williams said, adding that he drove by five backhoes on his way to work that morning. 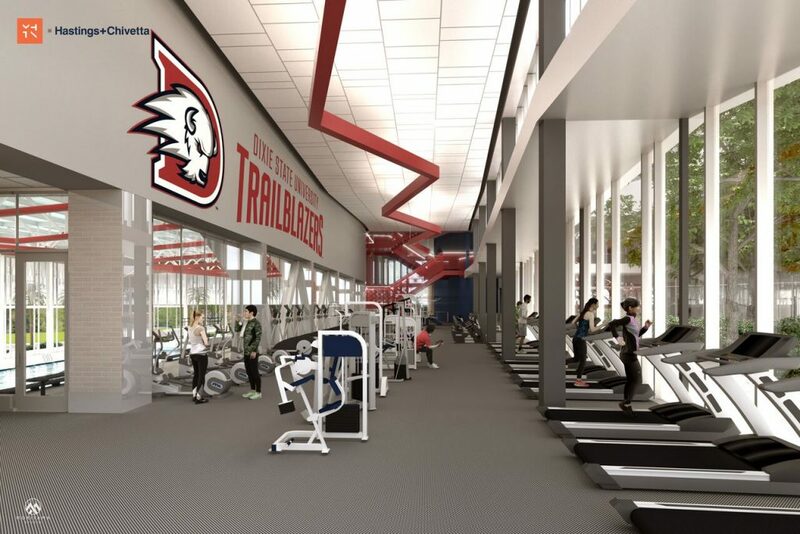 Williams said the Human Performance Center was originally planned to have a different name, be located in a different place on campus and be only half as large with half the amenities of the current design, which features 155,000 square feet of space. “We had a different vision. 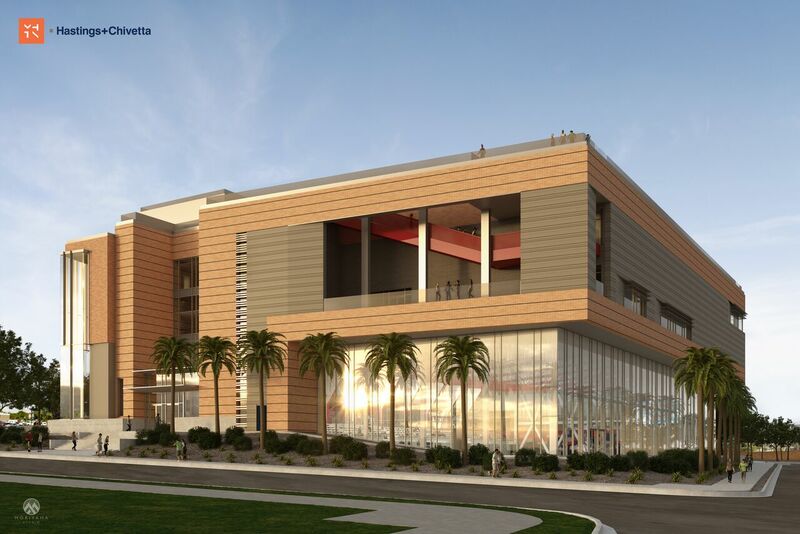 We wanted to build the premier building of health and human performance, not only in the state and region, but in the nation,” Williams said. 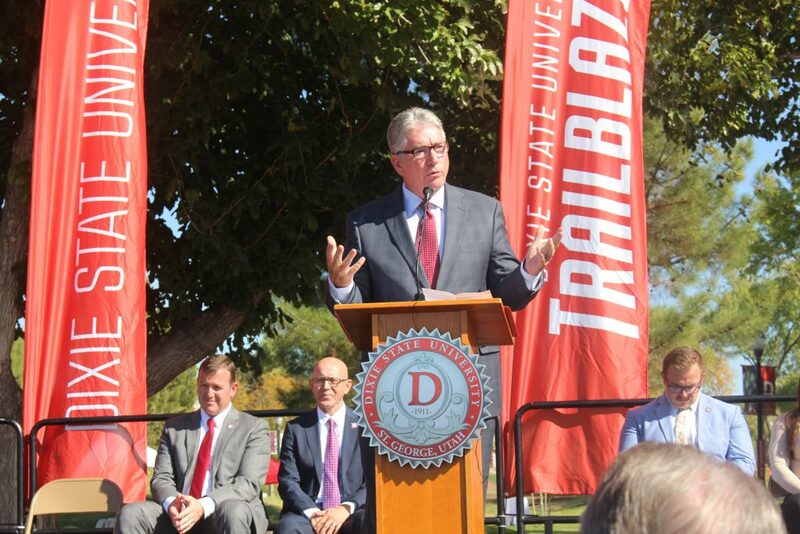 The facility will house specialized classrooms and state-of-the art laboratory facilities for DSU’s various health and human performance programs, including recreation & sport management, population health and exercise science. 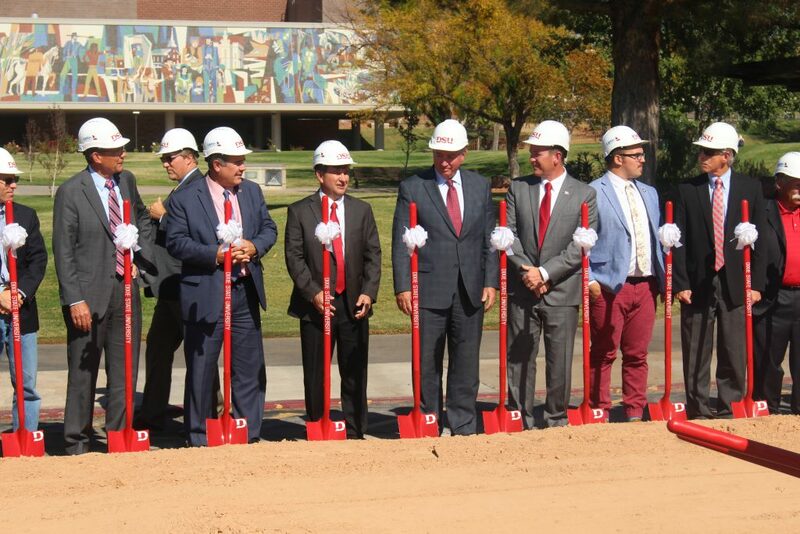 The center will also offer physical and occupational therapy programs through a partnership with the University of Utah. 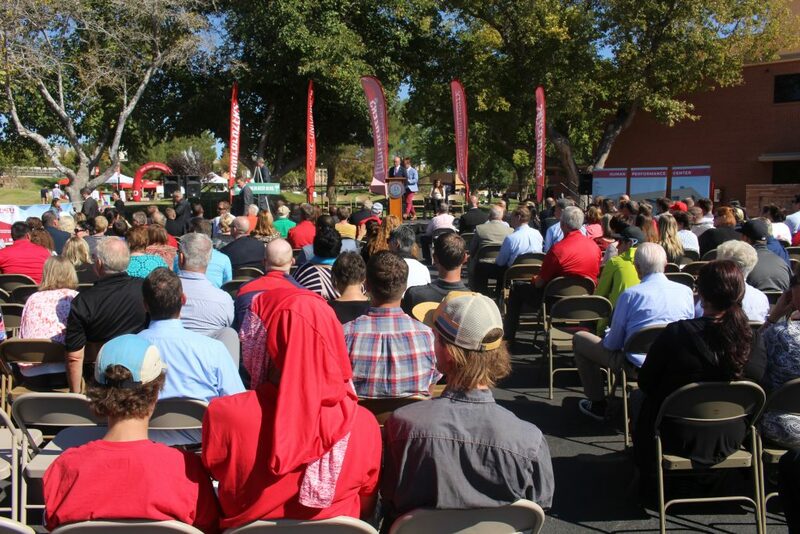 Following the groundbreaking, an open house and reception took place, during which attendees were able to view interior and exterior architectural renderings that provided virtual tours of the future building. 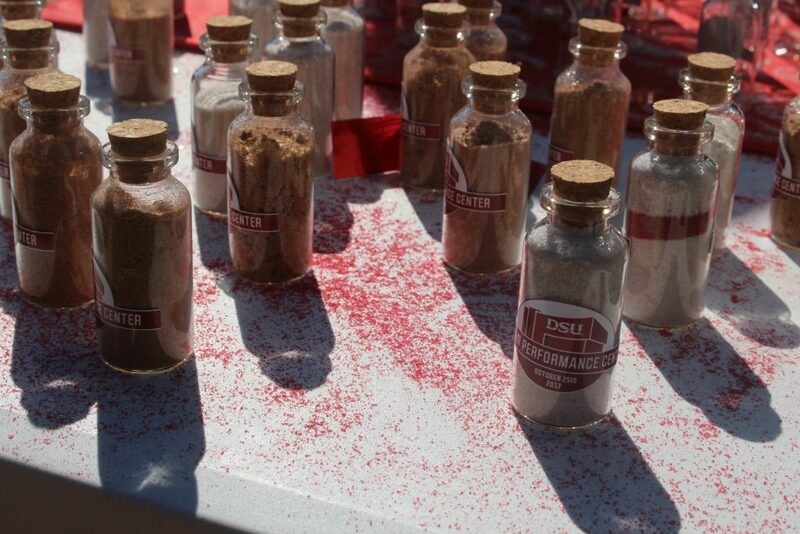 Actual groundbreaking work is expected to start next week, university officials said. In addition to housing Dixie State’s campus recreation and intramural programs, the building will also include three basketball courts that convert to indoor soccer venues and an indoor track that connects to an open-air rooftop track. David Clark, chairman of the DSU board of trustees, predicted the new building would become a community landmark, with its rooftop sure to become a favored spot for future gatherings and special events. “We look forward to what takes place here,” he said. 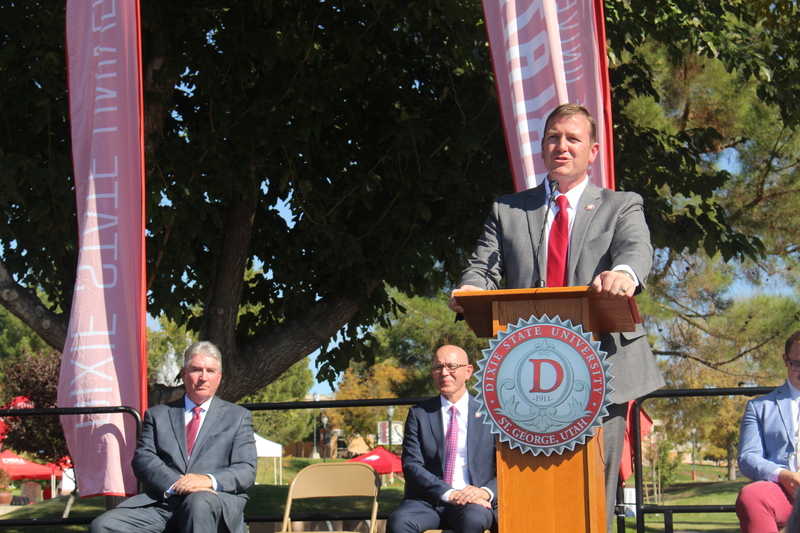 Clark also thanked those who helped make the project possible, including the administration, staff and students of DSU, elected officials from the city of St. George and Washington County, the Utah Legislature, the State Board of Regents and numerous anonymous donors. 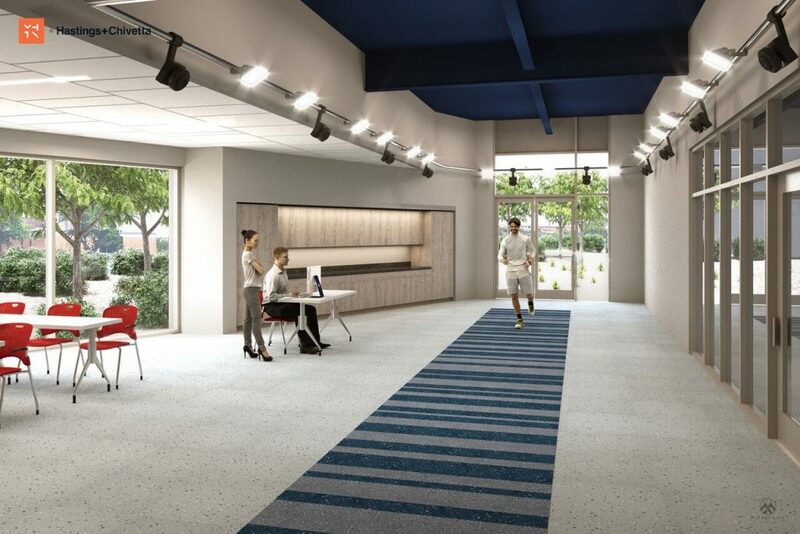 The project will be built by Layton Construction, using the architectural and design services of MHTN Architects and Hastings+Chivetta. Following the program, university officials, along with government officials and representatives from the various entities involved in the project put on their white hard hats and lined up with red shovels to take a ceremonial scoop of dirt to signify the beginning of the construction phase. 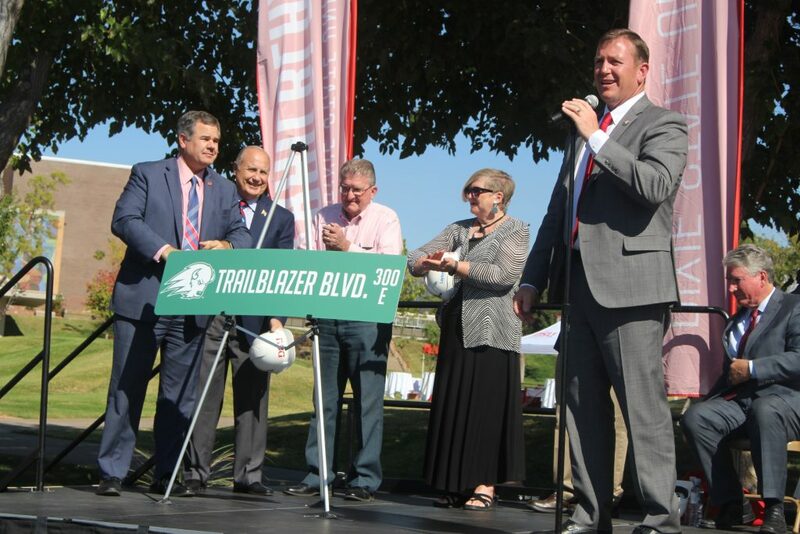 A few minutes earlier, Williams had invited St. George Mayor Jon Pike and members of the St. George City Council to the stage, where a new street sign for 300 South was unveiled, proclaiming its new name as Trailblazer Boulevard. 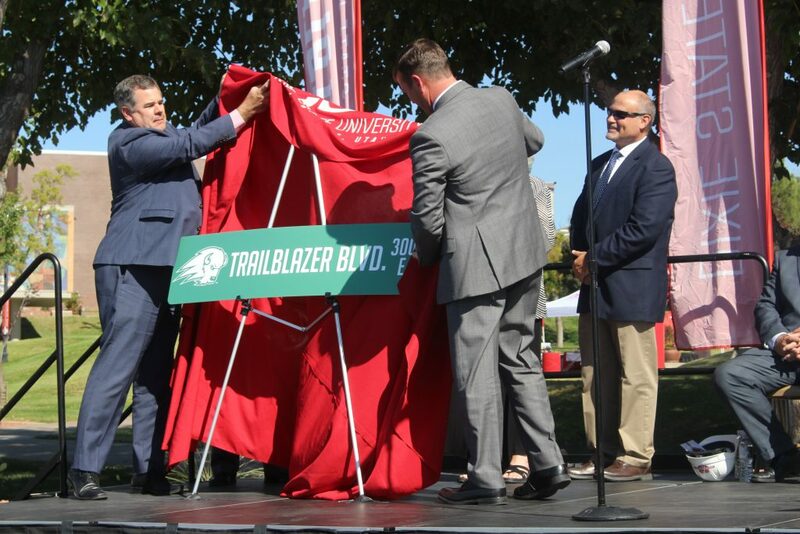 “The new Human Performance Center will now be located at the corner of University Avenue and Trailblazer Boulevard. That really sounds nice,” Williams said. 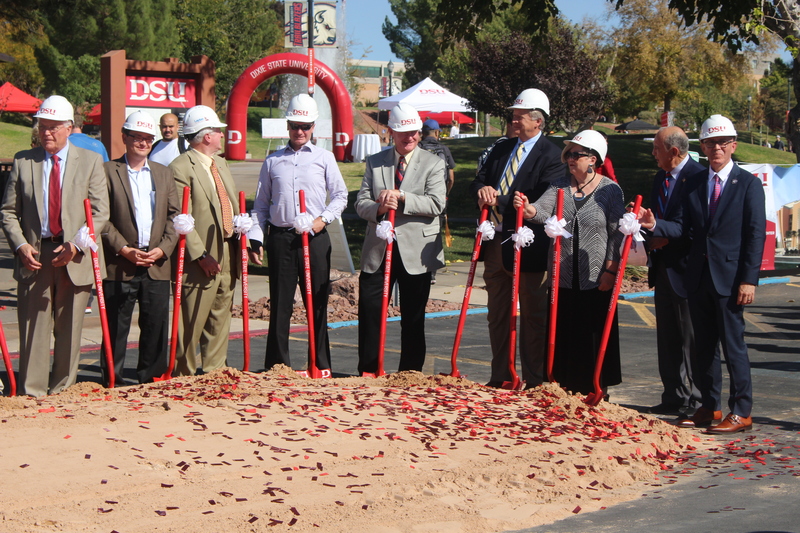 For more information about Dixie State University’s Department of Health and Human Performance, click here.